The greatest conspiracy of the past two thousand years is about to unravel. Robert Langdon, professor of religious symbology at Harvard, is in Paris to give a lecture. At the reception that follows, he is scheduled to meet with a revered curator from the world-famous Louvre museum. But the curator never shows up, and later that night Langdon is awakened by authorities and told that the curator has been found dead. He is then taken to the Louvre the scene of the crime where he finds out that baffling clues have been left behind. Thus begins a race against time, as Robert Langdon becomes a suspect and, with the help of French cryptologist Sophie Neveu, must decipher a mystifying trail of clues that the two come to realize have been left specifically for them. If Robert and Sophie cannot solve the puzzle in time, an ancient truth could be lost forever and they themselves might end up as collateral damage. Includes over twenty color photos showing important locations and artwork, and publication timing connects to the film release of Inferno! 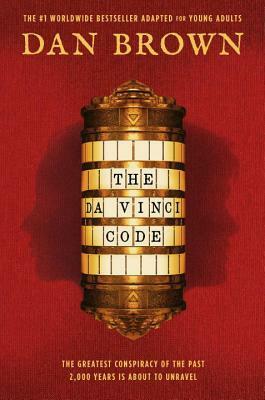 DAN BROWN is the #1 New York Times bestselling author of numerous novels, including The Da Vinci Code, Inferno, The Lost Symbol, Angels & Demons, Deception Point, and Digital Fortress. He lives in New England with his wife and is a graduate of Amherst College and Phillips Exeter Academy, where he spent time as an English teacher before turning his efforts fully to writing. Visit him at danbrown.com and follow him at @AuthorDanBrown on Twitter. I decided to read part of this book along side its adult counter part. And what I found was the adult version reads as a book two to Angels and Demons and the YA version reads as a book one. Other differences were we get a letter to the reader in the YA Adaption which we don't get in the adult version. Lastly I found that entire paragraphs to simple sentences were changed, added, or totally removed between the two books. I enjoyed reading this as the YA Adaption. I think for the most part it was easier to understand vs the adult version. It flowed much better as well. I've loved the movies to these forever so I was so excited to read this book. And I have to say that it was done very well. Young adults will read their way through this at the speed of light. Surrounded by interesting characters and a plot/story you won't be able to put down. On their quest they will learn about the power of symbols, history, and more. It was very hard to put down for the night and I stayed up far longer than I should have to finish it. I really hope that this publisher commissions the rest of the series for YA Adaption as I'll be one of the first in line to pre order them!